Bastak Brand ,1900 Smart Model Hammer Mill. 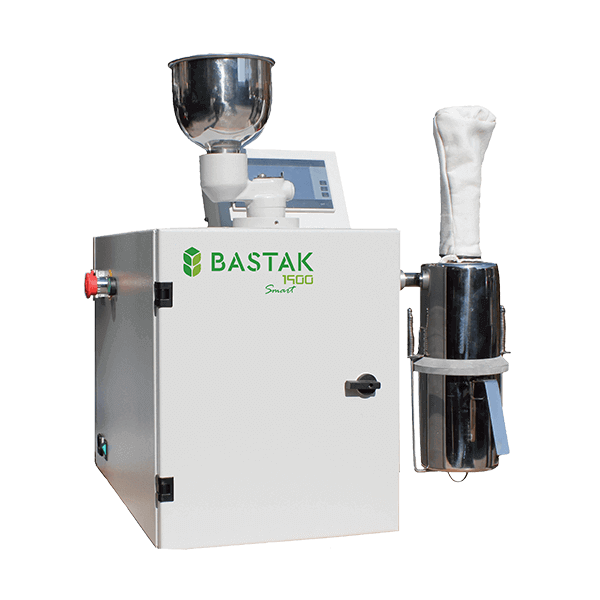 The instrument is used to prepare the sample for the Gluten Analysis, Falling Number Analysis and NIR analysis. For the setting of grinding use air flow rate on it. The ground samples collecting its container. It's motor work 16,800 cycles per minute and can use the different size of sieves. Wheat, barley, corn and other grains can grind on it. Through the digital touch screen, the user can operate the rotation and on the touchscreen can be monitored on working time. After the first sample no need for clean for the second samples. With slow feeding, it can grind to the %25 moisture of the grains. A sensor on the motor cover when the motor cover is open doesn't work for safety. The motor rotational speed: 16,800 rpm. Dimensions : 650x570x560 mm . Net weight :51 kg . Grinding capacity : 300 gr in 30-50 seconds. The grinding capacity changes depending on the moisture degree.